Place Eclipse Sundial on Sunspotter viewing screen with the proper edge facing the lens. 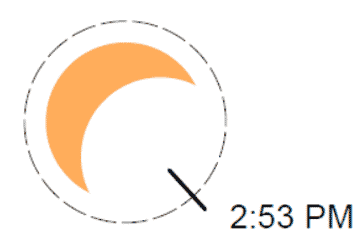 The center of sun's crescent will align with the time markings as the eclipse progresses. 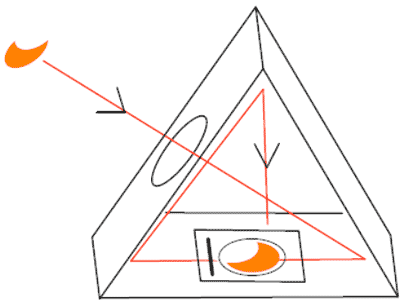 The sun must be positioned to the center of the circle to read correctly.